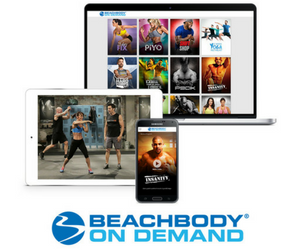 Body Gospel is a new Beachbody fitness program featuring inspirational expert, Donna Richardson Joyner. This comprehensive fitness program connects the power of faith with the desire to lose weight and get fit. With cross-training workouts set to uplifting gospel music, muscle-firming resistance bands, and a complete nutrition plan, you’ll learn how to combine this effective exercise program with your faith in God to transform your figure and your life. Starting with a prayer, each Body Gospel workout gets you moving to chart-topping gospel hit music. The combination of faith, fitness, and nutrition is aimed at enhancing your faith and transforming your health. 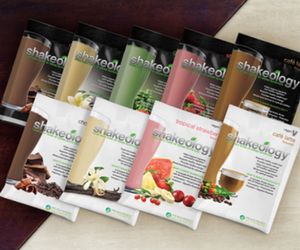 Are you ready to drop those extra pounds and get healthy? Taking care of ourselves is a form of worship and you’ll have more energy to take care of the obligations in your life and serve God. Weighing in a 288 pounds, Frank was not happy. With high blood pressure and failed attempts at 10 crazy diet program, he need a fitness solution that really works! He had the chance to participate in the workout test group. He needed to recharge his unhealthy body and his spirit. 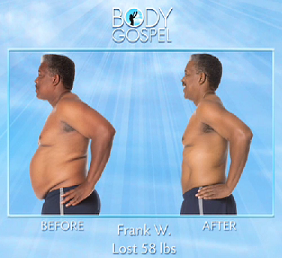 Frank lost an amazing 22 pounds in his first 30 days of doing the Body Gospel fitness program and also said that he changed spiritually. His family supported him with him fitness goals. At the end of the program, he lost an astounding 58 pounds! Nice work! Heather’s confidence was low because she was overweight. She could barely do anything! She decided that enough was enough and started Body Gospel. After 30 days, she was so excited! She lost 20 pounds and 32 inches all over. Catching a glimpse of herself in the mirror, she could even see some muscle tone in her arms! That’s motivation! She lost even more weight as she continued with the workouts! 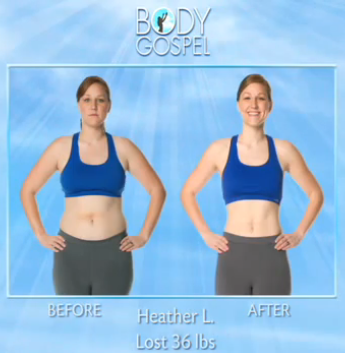 Within 90 days, Heather lost 29 pounds and 37 inches, including the 8 inches off her waist! Great results!